Leaders from H3Africa at the consortium's ninth annual meeting in October, 2016. Dr. de Vries pictured second from right, third row. Dr. Mulder pictured first row, second from right, beside Her Excellency Dr. Ameenah Gurib-Fakim, President of the Republic of Mauritius, who delivered the meeting's opening address. Picture courtesy of H3Africa. In its first five years, the Human Heredity and Health in Africa (H3Africa) Initiative involved 75,000 participants across the African continent in a variety of genomics-based research projects. Its research network spanned more than 500 investigators in 27 countries and its members began to share data through the H3ABioNet — a federated bioinformatics network chaired by Nicola Mulder, a long time leader in the Global Alliance for Genomics and Health and Professor of Computational Biology Group at the University of Cape Town. This approach brought with it the introduction of open sharing policies and the need for informed consent — entirely new challenges for many of the African investigators and institutions. “About two years into H3Africa, we realized this really was about a sea change in how people perceive research and ethics and there was a lot of apprehension about this idea of sharing on the continent,” says Jantina de Vries, Associate Professor Bioethics at the University of Cape Town. That realization led de Vries and her colleagues of the H3Africa Working Group on Ethics, which she chaired at the time, to meet with members of the ethics committees around Africa who were reviewing H3Africa research studies and start to understand their concerns and come up with a path forward. The result of these efforts — three years in the making — is the Ethics and Governance Framework for Best Practice in Genomic Research and Biobanking in Africa. The framework was recently discussed in an open letter to AAS Open Research, as well as a news article and an editorial piece in the journal Nature. The H3Africa Framework builds on the format used by the Framework for Responsible Sharing of Genomic and Health-related Data, developed by the GA4GH Regulatory and Ethics Work Stream, of which de Vries is a founding member. Like the GA4GH Framework, the new document puts forth a series of core principles and elements to guide research and the sharing of samples and data. But these are specifically tailored for the African research context. 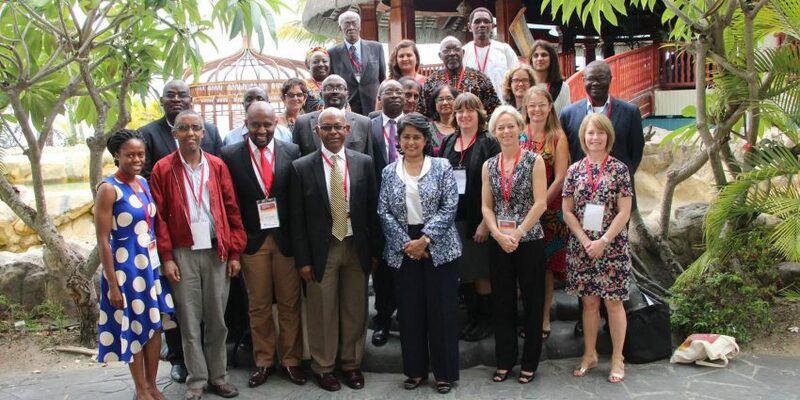 The core principles state that research making use of African data should (i) be sensitive to and respectful of African values and culture, (ii) benefit African people, (iii) include genuine and active intellectual participation of African investigators, and (iv) promote respect, fairness, equity, and reciprocity. In its next phase, H3Africa aims to collect genomic data on 100,000 participants — including whole exome, whole genome, and genotype data. The consortium has grown to include 48 research projects across 34 African countries and is well on its way to fulfilling this goal. In particular, future research will make use of the H3Africa chip which has been customized for African populations, Mulder says. The data analysis work will be supported by H3ABioNet using a variety of standards developed by GA4GH.